Across the Dead Earth, the post-apocalyptic tabletop miniatures game, is a fast paced skirmish scale war-game for 2 or more players. 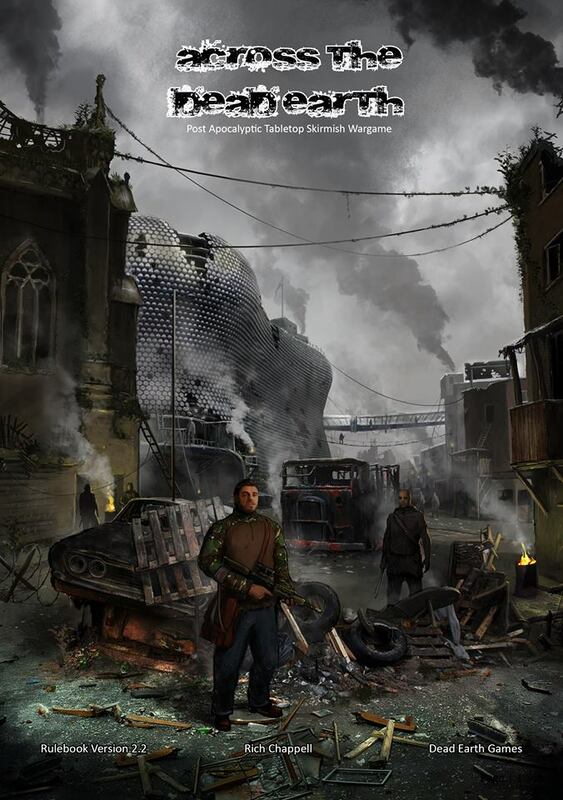 Players control persistent, upgradeable and fully customisable Gangs who fight across the dead Earth, in a world three generations on from the apocalypse. Loot and kill your way through campaigns with one of the Gangs described in the rules or create your own from scratch, and then upgrade them through campaign play to gain better skills and equipment. The PDF rulebook is 87 pages long and comes with a separate file of printable “cards” for use in the game. A full range of miniatures to support the game is available to order now. Purchasers of the PDF who decide to buy the print rulebook* or one of our Starter Sets at a later date will receive a £5 discount off that product. (Discount code sent on request).